ST. PETERSBURG, Fla. -- A total of 41,377,202 fans passed through the gates at Minor League Baseball games in 2016, marking the 12th consecutive year the organization drew over 41 million fans. The 2016 season saw eight teams set single-season franchise attendance records and seven set franchise records for largest single-game attendance. The 176 Minor League Baseball clubs across 15 leagues combined to record the ninth-largest attendance total in Minor League Baseball history. 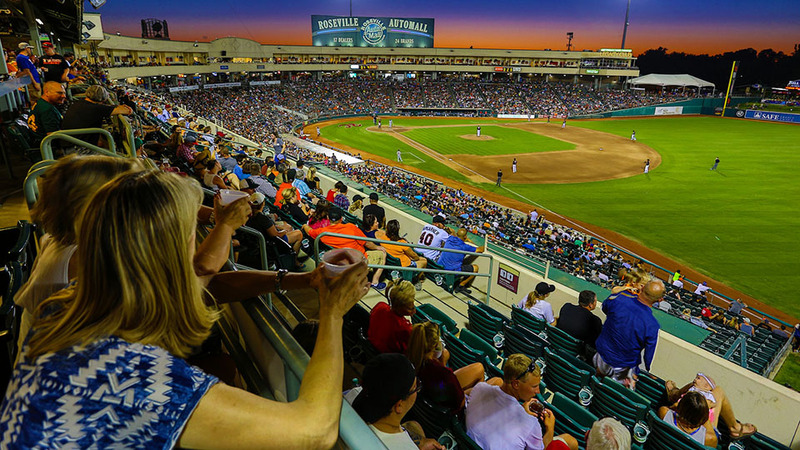 "In cities large and small, our teams continue to offer their communities the very best in affordable, family-friendly entertainment in a clean and safe environment," said Minor League Baseball president and CEO Pat O'Conner. "Minor League Baseball continues to offer what I believe is the best entertainment value in sports, and we are very appreciative of the tremendous fan support received again this year." The Triple-A Indianapolis Indians led all teams in total attendance, as 636,888 fans visited Victory Field this season. The Triple-A Charlotte Knights recorded the largest average attendance at 8,974, edging Indianapolis by four fans per game. The Columbia Fireflies drew over 260,000 fans in the inaugural season at Spirit Communications Park, the only new ballpark to open in Minor League Baseball in 2016. Since 2000, Minor League Baseball clubs have opened 62 new ballparks, with new or significantly renovated stadiums scheduled to open in Hartford, Kinston, Lakeland and Tampa for the 2017 season. The attendance leaders in each classification of Minor League Baseball and their overall numbers were: Triple-A -- Indianapolis Indians (636,888), Double-A -- Frisco RoughRiders (463,564), Class A -- Dayton Dragons (548,574), Class A Short Season and Rookie-level -- Vancouver Canadians (222,363).